A musical in three bytes. 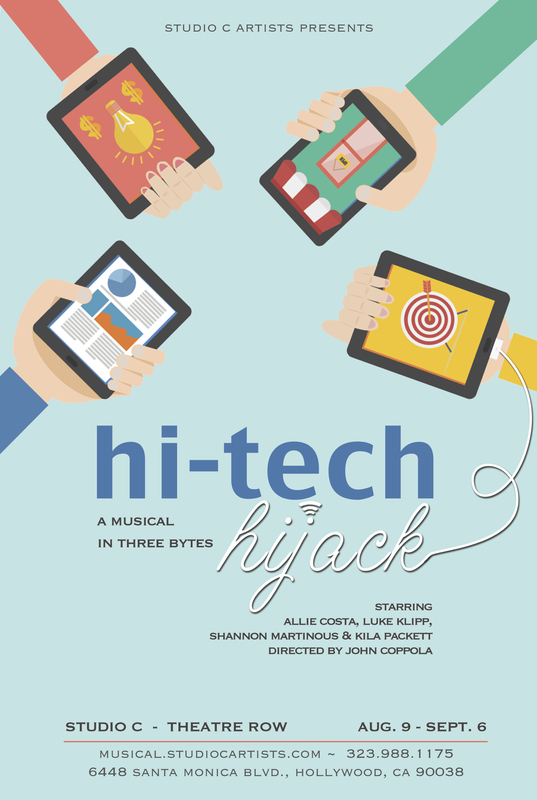 Studio C Artists is proud to present HI-TECH HIJACK – A Musical In Three Bytes. This collection of three one-act musicals explores mans relationship with technology. Technology is invading our lives, and how we, as a human race, deal with it often comes with amusing and surprising consequences. These shows explore different themes concerning this technological hijack of our society – and how our planet is coming to terms with the new paradigm we now live in. Originally developed with New Musicals Inc. and presented as part of the 15 Minute Musicals evening MAN V. MACHINE in June of 2012 at the Colony Theatre in Burbank. All Performances Start At 8:00PM.